You are currently browsing the monthly archive for December 2014. I’ll be reviewing the north coast news of 2014 with a player to be named. Join me at KHSU at 7:00 p.m. if you aren’t too hung over and looking for quiet intelligent conversation. Addendum: Confirmed – Hank Sims will join me. The story here isn’t the the Sheriff Association’s complaining nor the the tournament organizers’ gutless cave. The story is a phenomenal group of young women willing to sacrifice for principle. Kym Kemp reports on the girls’ banning from the tournament because of the priority they place on justice and freedom of expression. It would be great if the Fort Bragg Advocate received a flood of letters in support of these remarkable kids. I intend to write one. 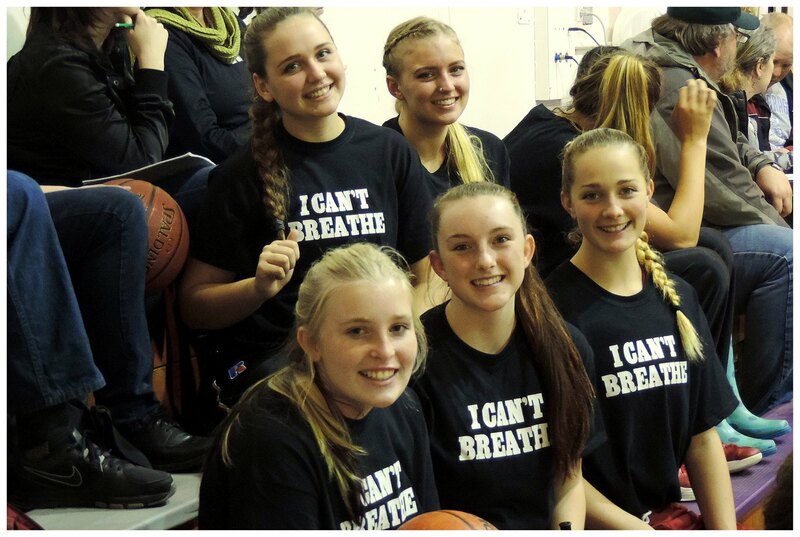 In my opinion, the Sheriff Association’s use of the death of Deputy Ricky Del Fiorentino to back up their attempt to suppress these girls’ expression is both irresponsible and cheap. Deputy Fiorentino had nothing to do with Eric Garner’s death, nor are the situations comparable as Garner never threatened any officer’s life. And in fact the actions of the NYPD officers have made law enforcement more dangerous everywhere as will any act which makes troubled people even more fearful of arrest. Addendum: The story makes Nation Magazine, complete with a very lame excuse from the Fort Bragg High School Principal. If you want to call Fort Bragg High School and register your disappointment, the number is (707) 961-2880. If you want to call Mendocino High School and show them some love, the number is (707) 937-5871. Second addendum: Fort Bragg High has a change of heart! How important is it that the coroner’s office retain some independence from law enforcement? Maybe it’s not all that big of an issue, but in national news a coroner’s report bucked the police account in designating Eric Garner’s death a homicide. Obviously it didn’t phase the Grand Jury, but it certainly has been cited in public discourse and callst for police reform. If the NYPD had oversight of the report, would the word “homicide” have survived to public release? Who knows? What I do know is that when the issue of coroner independence came up five years ago, it had been an issue in the 2008 Supervisor campaign and there was considerable opposition to it when it came up. I was accused of suppression of the issue on this blog to protect Clif even though, as stated, it was one issue on which I opposed Clif and sided with Estelle. If you read the thread through the link, you’ll find that anonymous posters accused Clif of being in Bonnie Neely’s pocket on the issue. But when it came to the vote, Clif, and only Clif, voted for the consolidation. clendenan (sic) showed what kind of supervisor he will be on his first major vote. So, to that poster and the others, what’s changed? Have you changed your minds as well? Also reported in the LCO article – there was some whining from Supervisors about having to release prisoners under Proposition 47, with at least two Supervisors suggesting that the voters really didn’t know what they were voting for. One of the Supervisors suggested that if we hadn’t passed Measures Z and Q there would be a “tsunami of desperation by our public.” For the record, it passed in Humboldt County 66 percent to 34. Basically, the comments came as it was reported that petty criminals had been released – not quite at the numbers reported by Supervisor Bohn, but significant. No discussion of the money we’ll save, and it’s not like perennial incarceration has kept property crime rates down. Seriously, they sound like Queen (“Lady”) Jane’s council must have sounded as she was releasing all the prisoners… about 3 minutes 50 seconds into the clip of an excellent movie which has unfortunately fallen into obscurity. Speaking of Measure Z, the Board also voted to create a nine member “citizen’s” advisory committee to advise the Board on how to spend the Prop Z money pursuant to the measure. I put “citizen’s” in quotes, because the Board decided to give voting representation to the fire and Sheriff interests. I really think it’s a conflict of interest to give voting representation to agencies who are going to receive those funds. And given the force by which these agencies lobbied for representation, I expect that their participation will be equally forceful. 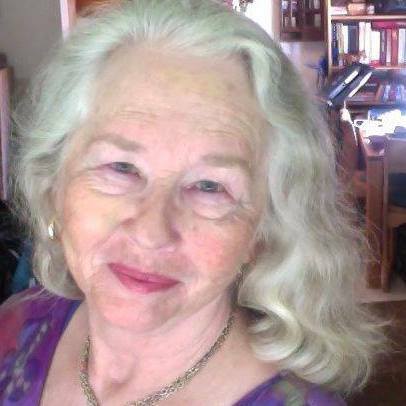 Free Speech Movement veteran, perennial activist, and local writer Jentri Anders will join me at 7:00 p.m. on KHSU this Thursday evening to discuss the history of the Bay Area new left and its importance to activists today. And she has a blog dedicated to the social history of Berkeley in the 60s. And interviewed as the “token follower” in Berkeley in the documentary Berkeley in the Sixties, which is available on Netflix Instant. The show is intended to commemorate today’s 50 anniversary of the protest at Sproul Hall and Mario Savio’s famous gears speech.